Mind your business and Stay in Your lane! Good afternoon! Happy Monday to you. Resolve to be better this week than you were the last week. Stop going through life just getting by. Make a decision to give your very best in everything you are apart of. TFTD: Mind your business and Stay in your lane! The ambulance is not designed to carry out the task of high-speed chases. The ambulance driver is not trained or equipped to issue out tickets or warnings to the person speeding. If the ambulance driver was contacted for a hospital run, it would miss the call because it was doing something it didn’t have any business doing. In this illustration, God reminded me of the importance to mind your business and stay in your lane! Stop worrying about what someone is or is not doing. Stop trying to carry out the task of someone else. It’s not your calling. When you try to dibble and dabble in stuff that you weren’t created to do, the task will not be executed properly. You weren’t equipped for it so stop worrying about it. If Christians would spend more time in their own “spiritual lane” than they did in other people’s lane then more work could get done in the kingdom. You could miss your chance to help someone in what you were called to do, all because you are too busy worrying about someone else’s responsibilities! Ministry suffers when you are doing the wrong thing. Mind your business and stay in your lane!!! We are all members of the same body of Christ and equally important. Stop competing and stop thinking you can do someone else’s job better than them. Mind your business and stay in your lane!!! That’s a word for the people. Do what you need to do to stay in your lane. The kingdom needs you using your gifts and talents for God’s glory and not for man’s acknowledgement. Good morning! It’s Hump day!!! We have successfully made it to the middle of the week!!! Wake up each morning determined to be productive. Show your family and others that this Christian life is worth living. When God eventually calls you home, do you want to be known as the person who walked the earth waiting to die or the person who lived life determined to LIVE? I don’t know about you, but I am living on purpose. I am determined to carry out God’s call for my life and give Him all the glory, honor and praise. Will you live on PURPOSE? This has been a Public Service Announcement from Nicole “Living on Purpose” Ellis. Good afternoon! Happy Tuesday to you all! I pray your week is going well thus far. Remember you can’t control what other people do to you, but you can control how you respond. Choose to be a positive influence in the midst of dark people and places. Be the light! 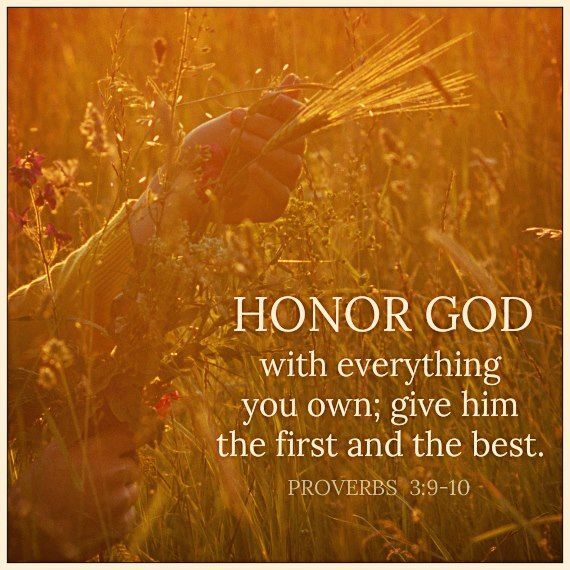 9 Honor the Lord with your wealth, with the first fruits of all your crops; 10 then your barns will be filled to overflowing, and your vats will brim over with new wine. Have you been experiencing a drought in your life lately? A drought is defined as a period of dry weather, especially a long one that is injurious to crops. It is also defined as an extended shortage. Have you been experiencing periods of dry weather in your spiritual, mental, emotional and physical life? Have these extended shortages been damaging to the fruit that you should bear? During my Christian journey, I have experienced moments that feel dry and empty. It appears that there are long periods that go by and I can’t see the manifestation of the fruit that my work should bear. It’s in seasons like this that I get discouraged. Have you ever felt like this? Have you ever felt like everyone else was receiving the overflow while your well was empty? If you answered yes, than you are human and are on the right track. It’s in the dry places that Jesus will be your hope in a weary land. It’s in the dry places that Jesus will be able to minister to you if you let him. I am a living testimony that God can take you from a drought to a flood. Your drought may be a mountain of rejection, but God will shift the atmosphere and begin pouring out blessings you won’t have room enough to receive. You were rejected during your job search, college application process, new home application, new car and you are ready to give up, but at the end of the dry spell God will produce the overflow. Your drought may be in ministry; your ideas have stopped, your motivation is lacking, people aren’t joining, and you feel like this is not for you, but God will step in and begin manifesting in a mighty way. We will all encounter dry places, but instead of growing weary begin to praise Him in the dry places because the flood is coming. When you are in your dry places continue to give God your very best. Just because your resources are depleted doesn’t mean you should slack in operating with a spirit of excellence. If you give God the very best during the good and the bad then He will give you the best in both seasons. A flood is defined as a great flowing or overflowing of water, especially over land not usually submerged. Are you ready to receiving an overflowing of God’s favor that will begin submerging you in His grace and mercy? I don’t know about you, but I will endure the drought to reach the flood. God didn’t create you to suffer. His word tells us that we will do greater things than He did. How awesome is that? I know you are in a drought right now, but hang on because the flood is coming. Get ready for the overflow! Throughout our lifetime, we will make several requests to God. There will be times when we pray for a better relationship, a spouse if we are single, a promotion on our job, to complete an advanced degree, to give birth to a healthy child and the list goes on. Sometimes we can become so consumed with asking for more before we are faithful over the few things God has already blessed us with. How can God bless you with a mate if you haven’t been faithful in your singleness? How can God promote you in your career if you abuse your current position? How can God help you complete an advanced degree if you can’t manage the simple task He has before you? How can God bless you with more when you neglect the little things? God wants to see how you will take care of things you currently have before He can advance you in life and in the kingdom. Ask yourself, “Have I been faithful over the few things?” Take a moment to really assess how you treat the people God has blessed you with. Now, look at how you speak of the blessings God has given you. Do you curse your blessings with complaints? Do you neglect your blessings by being slothful or negative? I encourage you to cherish the season you are in. I know life is not easy and things may even appear unfair, but don’t block your blessings because of a bad attitude. Your upgrade to a better life could be contingent upon how you handle your current situation. It’s time to be faithful over the few things! Good afternoon. I pray your work week or school week has been going well. 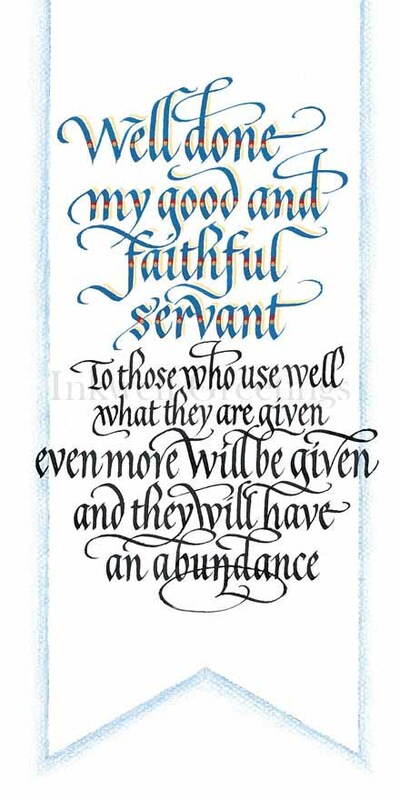 Today’s message is simple, when you are faithful and obedient to God, He will bless you beyond measure. I know a lot of people new to the faith and even seasoned believers wrestle with the concept of giving 10% to the church. Some may ask, “Why should I give my money to the church, I have bills.” Well, God knows you have bills and He also knows that you can’t do more for yourself than He can do for you. Tithing is really a lesson of obedience. God instructed you to bring the tithe to Him and when you do this He is faithful to keep His word and bless you abundantly. If you struggle with tithing then you struggle with being obedient. If you won’t trust God to sustain you and provide for you then you can’t begin to experience the OVERFLOW He has set aside for you. I don’t know about you, but I want to experience the overflow. I want to reach for all the buckets and storage units I can and still not be able to store what God has for me. I want to be so filled that my children get drenched in the overflow. Are you ready for the overflow? If you don’t tithe then you won’t experience it, but if you step out on faith and trust God with your finances, I assure you He will bless you like never before. Get ready for the overflow! Try God! Good afternoon. I pray your day is going well. Do you suffer from the disease known as complacency? Food for thought: Be careful not to become complacent spiritually, mentally, emotionally or physically. The enemy is waiting for you to let your guard down in all areas of life. Sometimes these attacks can be real subtle and can come from unlikely sources. Remember God has not given us the spirit of fear so don’t allow fear to keep you from moving to the next level. Do you have the disease known as complacency? If you do, what are you going to change in order to become cured? Daily I post on social media outlets like Facebook, Twitter and Instagram. I can’t help but notice the number of post from various people concerning challenges they are participating in. These challenges can range from trying new foods, eliminating food items, spiritual improvement and even physical fitness. Not only are there an assortment of types of challenges, but there are also a difference in the lengths of time they last. When a challenge is issued there are a lot of different emotions that run through ones mind. Some people contemplate whether or not they can do it, others don’t think they just sign-up and then there are those who are excited and want to give it a good old college try. Then the challenge begins and some don’t start because of fear or simply disinterest, others dive in head first and then you have the ones who are bursting with enthusiasm at the idea of doing something they’ve never done before. Now we are in the challenge and I’ve noticed that all three categories participate in the challenge on some level. The ones who didn’t sign-up due to fear or disinterest still follow the progress of others by asking questions and watching the social media post. You even have some who are critiquing the process that they are not actively participating in. Then the people who are in the game, consistently push to get the job done. Finally, the people who are “trying” participate but their journey can end up on two different roads. You either try and then slowly begin believing in yourself and you ultimately push to finish. Which category are you in? Do you desire to do something and never get started due to fear or disinterest in the process? Or perhaps, you are one of the few who are willing to give it your all from the start? Maybe you are the person who tries and then gives up or you try and then realize just how strong you are. Take a moment to figure out who you are. I want to encourage you to go beyond what’s required. The person who allows fear to rule will never even start. The person who is willing to put everything they have into the process will naturally go beyond what’s required. The last category will do more than the first group, but the choice is ultimately theirs whether they quit prematurely or if they get the job done. It’s time for you to start believing in yourself. 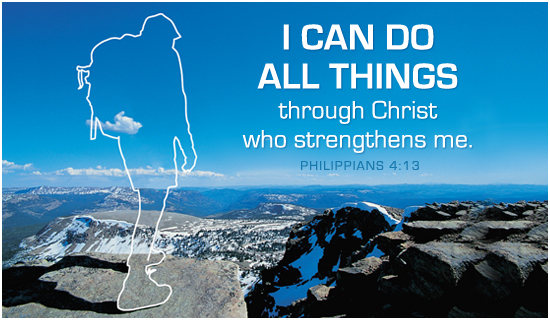 It’s time to know that you can truly do all things through Christ who gives you strength. Are you willing to go beyond what’s required? Are you willing to accept the challenges that God has placed in your life? I don’t know about you, but I’m going beyond what’s required to get what has been destined for me! Good morning! Happy Monday to you all! This is the day the Lord has made, choose to rejoice and then BE GLAD IN IT! I know you may not be a “Monday “ person, but don’t start the day complaining. I dare you to shift the atmosphere and do something that you haven’t done before and speak positive things over this Monday morning! Your day becomes what you declare it to be! If you want your day to go better than normal then start speaking that it will be better! There is a time for everything, and a season for every activity under the heavens:2 a time to be born and a time to die, a time to plant and a time to uproot, 3 a time to kill and a time to heal, a time to tear down and a time to build, 4 a time to weep and a time to laugh, a time to mourn and a time to dance, 5 a time to scatter stones and a time to gather them, a time to embrace and a time to refrain from embracing, 6 a time to search and a time to give up, a time to keep and a time to throw away, 7 a time to tear and a time to mend, a time to be silent and a time to speak, 8 a time to love and a time to hate, a time for war and a time for peace. Join me on a short trip to the grocery store. I arrive at the Super Wal-Mart, my favorite store in the world, where I purchase a few items from the grocery section. I grab bread and check the date that is farthest from the current date. I do this because I want the bread to last for a longer period of time. I then proceed to pick up milk and check the date in the same manner as I check the bread. I grab a few other items, check out and then head home. Fast forward a few weeks. I want a bowl of cereal and I reach into the refrigerator for some milk only to discover it’s expired. Somehow I kept the milk in the fridge past it’s expiration date. Now I have a choice to make; drink the milk anyways and run the risk of getting sick or throwing the milk out and buying a new carton. Ultimately the choice is mine. Similar scenarios take place in our spiritual and physical life. We enter into relationships, jobs and ministries and we check the date, looking for the one that is farthest from the current date. Ultimately it’s our desire to stay in these positions for a long time. Then weeks, months and even years go by and some how we have allowed that relationship, job or ministry position to expire. When things expire they begin to rot and fester. There are so many times when believers stay in situations or positions past the expiration date. Once this happens you are no longer productive because when something expires it dies. When something is dead and is left out too long it begins contaminating the environment. Let’s look at a bunch of grapes. One rotten grape can begin spoiling the entire bunch. But if you pluck the dead grape off early enough then the other grapes have time to flourish. 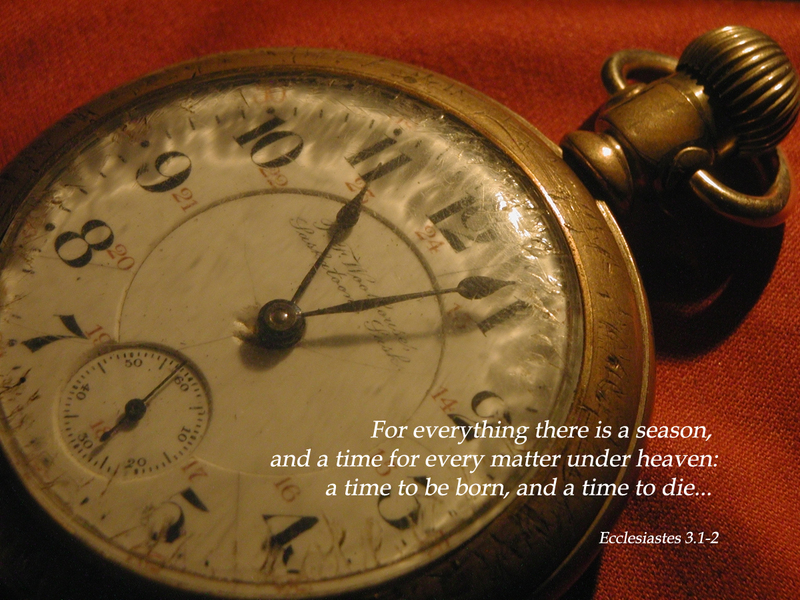 The word of God shows us that everything has a time or a season. It’s important not to stay somewhere past your expiration date. I know you desire for this relationship to work, but if God is calling you to move on because that relationship wasn’t ordained by Him in the first place, why are you staying past the expiration date? I know you are comfortable at the job you are in, but if God is calling you to greater, why do you expect life to come out of a dead situation? I know you have served in that ministry for years, but God has shifted your desires and your gifts, how long will you allow other people to suffer all because you don’t want to move? Are you currently in something that has expired? Has God called you to a new level, but you have chosen to drink the spoiled milk anyway? I encourage you to seek God on when the seasons are changing. In the same manner the seasons change in the natural; summer, fall, winter and spring, the seasons change in the spiritual. Don’t stay in situations past your expiration date. You can’t bear fruit in dead and dry places. It’s time to throw out that spoiled milk and go to the store and buy some fresh milk. Self reflection: Ask yourself, “Am I currently with someone or in a position past the expiration date?” If the answer is yes, I encourage you to listen to God and allow Him to direct your path. God has been calling you to make some moves and fear has kept you bound. Step out on faith and trust the Lord to take you to the next level. Have a blessed day walking in your new season! Have you ever felt depleted? I mean a serious decrease in your spiritual, mental, emotional and physical supply? Have you ever invested so much time in a person or a situation that you felt empty and almost useless? We’ll, if you answered yes, then this blog is for you. While coloring and relaxing my hair the other day, God began ministering to me. I love how God works because He can take simple day-to-day task and attach a message to it. We’ll whenever women place chemicals in their hair to either straighten or to lighten it, it’s important to understand that the hair goes through a strenuous process. The chemicals are literally stripping color away or pulling a naturally tight curl to a loosened state. Now upon verifying that all of the necessary products were in the box, I discovered a “Replenishing Pack”. The replenishing pack said that it conditions and restores moisture back to an otherwise depleted hair texture. Wait, so you mean even the hair companies understand the concept of replenishing a depleted source? Yes, the hair industry understands that after a persons hair has been stripped and pulled from its natural state that in order to maintain it’s luster it will need to have a replenishing conditioner applied for an acceptable amount of time. MY GOD, MY GOD! In life, when you have poured into other people and invested time and effort into a situation it is vital to get replenished. If your storage is empty, how can people reap benefits where there is no overflow? How can people gather water if the well has run dry? God wants to replenish the depleted. I love how the above scripture in Psalm 23:3 says, “he refreshes my soul…” God doesn’t want you to walk around dry and lacking luster. He wants you refreshed, rejuvenated, vibrate, filled with life, love, and hope. If you want to be filled spiritually, you have to be engaged with the Spirit of Christ. The list above is not in any particular order, but they have helped me to replenish my depleted supply. God has so much work for the body of believers to do and we can’t carry out ministry effectively if we are on empty. It’s time to replenish the depleted. Will you allow God to refresh your soul? Have a blessed day! 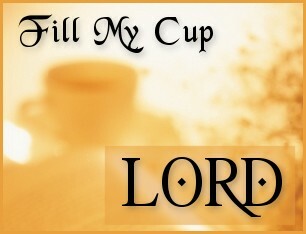 Remember to rest in the arms of the Lord and allow Him to fill your cup.